Alberta's premier forum for rural knowledge exchange and network development. 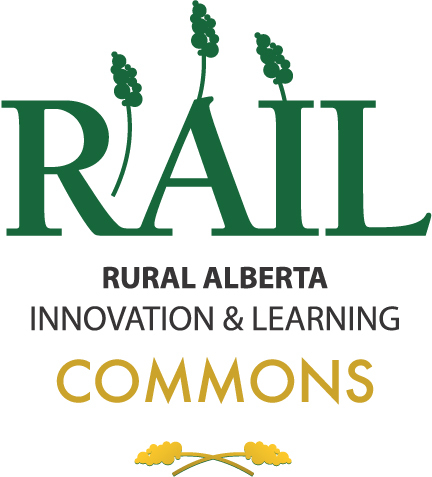 RAIL Commons is a a three-day learning commons focused on rural economic and community development. It is a great opportunity for councillors, mayors, CAOs, EDOs, community development professionals, and students from across the province to engage in various rurally focused topics such as: community and economic development, sustainability planning, social policy, water, continuing care, recruitment and retention, business succession, aboriginal relations and the changing agricultural landscape. The conference will provide in-depth information creating a strong foundation for understanding rural economic and community development. With a full day and half of sessions covering topics including broadband connectivity; women in municipal politics; quality of life for rural seniors; engaging rural youth; flood management; farmland conservation and fragmentation; assessing cumulative environmental, community and health impacts of resource development and much more, the weekend promises to hold learning opportunities for everyone. There is also time for rural community delegates to network and share with each other; from the opening network reception to the main Gala dinner.